In this first installment, Isabel is attending a concert in the Usher Hall when she witnesses a man fall from the upper balcony. Isabel can't help wondering whether it was the result of mischance or mischief. Against the best advice of her no-nonsense housekeeper Grace, her bassoon playing friend Jamie, and even her romantically challenged niece Cat, she is morally bound to solve this case. 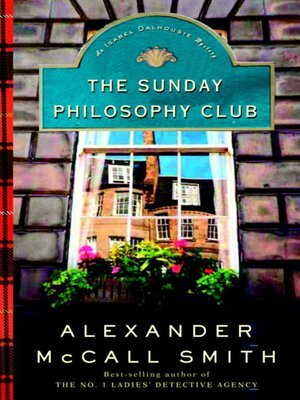 Complete with wonderful Edinburgh atmosphere and characters straight out of a Robert Burns poem, The Sunday Philosophy Club is a delightful treat from one of our most beloved authors.